Congrats to New Zealand, inaugural winners of the Southern Hemisphere’s Tournament formerly known as the Tri Nations (#) following their 51-14 win over Argentina at the weekend. It seems that the All Blacks are some way clear of the chasing pack at the moment (again). 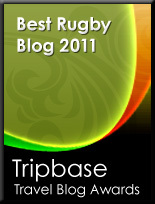 As for Argentina – their progress has pretty much been the only point of interest in this tournament for this blogger and, although so far winless, by and large it appears they have been competitive and have fully justified their long overdue inclusion in mainstream international rugby. Good luck to them at home against the Aussies this weekend. 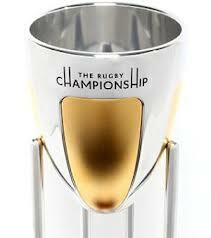 (#) – which marketing genius came up with the name “The Rugby Championship”? Crap name which, certainly up here in the north, carries with it connotations of a very much second-tier competition. Sometimes rugby does itself no favours. Yeah the name makes it sound like a cheap knock off video which doesn't have the money to pay to use the actual player names. Anyway, it is used with different sponsors in different countries, so in New Zealand it is the 2012 Investec Rugby Championship as opposed to the Castle Rugby Championship in SA. It is all kind of stupid really. For the record, the final score in the All Blacks vs Argentina match was 54-15. I thoroughly enjoyed the game from an All Blacks perspective. The Pumas broke down the All Blacks defensive better than most teams did this season. Unfortunately the home team decided to play rugby instead of spoiling it at the breakdowns which ultimately caused the score to balloon. Otherwise it would have been a more boring but tighter game. After the Wellington match these two teams played, it was great to see them playing on a dry track without gale force winds!